After losing two of three games to the San Francisco Giants, the Milwaukee Brewers began their July 25th off-day in a three-way tie for first place with the St. Louis Cardinals and Pittsburgh Pirates in the National League Central. Milwaukee had been very aggressive in looking for ways to improve a pitching staff that ranked 26th in the majors in ERA (4.58) last season. 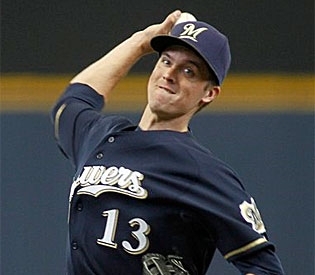 The Brewers traded for starters Zack Greinke and Shaun Marcum in the offseason and then acquired New York Mets closer Francisco Rodriguez on July 13 to shore up the back end of the bullpen. However, Milwaukee’s moves had not paid off in the standings, as the upstart Pirates and a Cardinals team that had dealt with injuries to Albert Pujols and Adam Wainwright had both stuck with the more talented and healthier Brewers through the first 103 games of the season. Just like that though, it seemed that everything clicked for Milwaukee while Pittsburgh and St. Louis’ seasons fell apart. The Brewers have won 22 of their last 25 games. In the same span, the Cardinals have gone 13-12 while the Pirates’ season has bottomed out by going 7-18. Suddenly, in a division that one month ago looked like it would be a sprint to the finish, Milwaukee is enjoying a very-comfortable 8.5 game lead on second-place St. Louis. Over the last 25 games, the Brewers have outscored their opponents 117-63. Their offense, which has the second-best OPS of any NL team but only the sixth-most runs, has taken off, scoring 4.68 runs per game. MVP candidates Prince Fielder, batting .384/.462/.663 with six doubles, six home runs and 23 runs batted since July 24, and Ryan Braun, hitting .348/.398/.573 with six doubles, four homers and 12 RBIs since July 24, have continued to form one of the best 3-4 duos of any lineup in baseball. However, it has been Milwaukee’s role players who have stepped up in wake of All-Star second baseman Rickie Weeks being sent to the Disabled List July 27 with an ankle injury. Since July 24, Casey McGehee is batting .310/.361/.540 with four doubles, two triples, four round trippers and 20 RBIs, Corey Hart is hitting .281/.343/.458 with two doubles, five home runs and 14 RBIs, Jonathan Lucroy has hit four doubles and two home runs while driving in 11 runs and batting .288/.342/.425 and Yuniesky Betancourt has knocked in 18 runs while hitting six doubles and three homers, hitting .278/.294/.433. The Brewers’ pitching staff has also cranked it up a couple of notches over the last 25 games. Milwaukee has allowed only 2.52 runs per game since July 24. To put that in perspective, the Philadelphia Phillies’ vaunted pitching staff has allowed the fewest runs in the majors (405) and gives up only 3.29 runs per game. Brewers’ starting pitches have lost only one decision over the last 25 games. Greinke has been lights-out, pitching up to his potential by going 5-0 with a 1.57 ERA while striking out 37 and allowing 25 hits and 11 walks in 34.1 innings pitched. Yovani Gallardo (3-1, 2.06 ERA with 31 strikeouts, four walks and 25 hits allowed in 35 innings), Randy Wolf (4-0, 2.80 ERA with 16 punch outs, 32 hits allowed and 11 walks issued in 35.1 innings) and Marcum (2-0, 3.58 ERA with 17 strikeouts, six walks issued and 33 hits allowed in 32.2 innings) have all been stellar in putting zeroes up on the scoreboard since July 24 before handing it over to the bullpen. 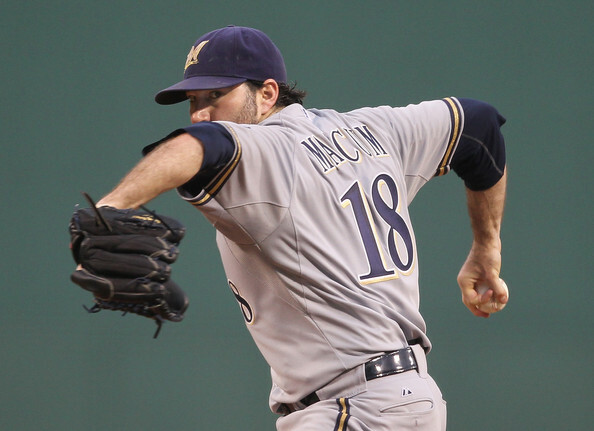 Milwaukee’s bullpen ranks 17th in the majors with a 3.67 ERA. However, it has been integral to the Brewers’ success since July 24. Over the last 25 games, Kameron Loe (10 games, 0.79 ERA, 10 strikeouts, two walks, five hits in 11.1 innings), LaTroy Hawkins (10 games, 0.00 ERA, four hits, three walks, four punch outs in 10.1 innings), Takashi Saito (10 games, 2.25 ERA, three hits, four walks, four strikeouts in eight innings) and Rodriguez (12 games, 3.18 ERA, 10 hits, four walks, 13 strikeouts in 11.1 innings) have helped Milwaukee bridge the gap perfectly to closer John Axford, who, in 13 games since July 24, has 10 saves and a 0.69 ERA with eight hits allowed, three walks issued and 14 strikeouts in 13 innings of work. On their off-day July 25, the Brewers woke up to a first-place tie with the Cardinals and Pirates in the Central. Milwaukee had loaded up on pitching to try to make one final playoff run in Prince Fielder’s last season under contract, but their aggressiveness in trading for Greinke, Marcum and Rodriguez had not paid many dividends. Then, all of a sudden, everything has come together for Milwaukee. The Brewers have won 22 of their past 25 games, building an 8.5 game lead on the second-place Cardinals in the Central. Milwaukee has hit well even with injured All-Star Rickie Weeks on the DL and their pitching has been superb. While the Phillies have baseball’s best record, the Brewers have become the biggest challenge to them in the National League. If Milwaukee can continue to stay hot, a team that has never won the Central or a National League Pennant may make history. On July 31, 2004, the New York Mets traded Scott Kazmir, ranked the No. 12 prospect by Baseball America before the 2004 season, to the Tampa Bay Devil Rays for pitcher Victor Zambrano. At the time, the Mets were in fourth place in the National League East, eight games behind the Atlanta Braves. With a record of 49-54, the Mets were 8.5 games behind the San Diego Padres in the NL Wild Card Race. The Mets would finish that season with a record of 71-91, finishing 21 games behind the Houston Astros in the NL Wild Card race and 25 games behind the Atlanta Braves in the NL East. However, more importantly, they mortgaged the future to try and win during a season in which their playoff chances were slim. Zambrano ended up making only three starts for New York that summer, going 2-0 with a 3.86 ERA and 1.286 WHIP in 14 innings. He lasted parts of just two more years with the Mets, finishing his tenure in Flushing by going 10-14 with a 4.42 ERA and 1.493 WHIP in 39 games, 35 of them starts. 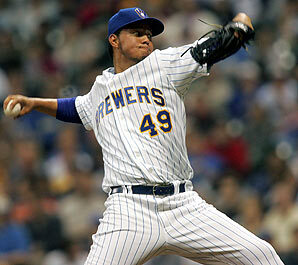 He never threw another pitch in the major leagues after the 2007 season. Scott Kazmir made 117 starts for Tampa Bay from 2005 through 2008. He went 45-34 with a 3.51 ERA and 1.351 WHIP. Kazmir threw 689.2 innings in that span, averaging 9.7 strikeouts per nine innings and striking out 2.39 hitters for every walk. Even though he has not been the same pitcher since then, Kazmir could have been an important part of New York’s rotation during those years. The 2006 Mets were a game away from the World Series, losing in seven games to the St. Louis Cardinals in the National League Championship Series. The ’07 and ’08 Mets blew huge divisional leads late in September to miss the playoffs in both years. With Kazmir in the rotation during those years, the Mets may have been able to win a World Series in 2006 while also at least making playoff appearances in ’07 and ’08. The 2011 New York Mets have been an interesting story. David Wright and Ike Davis have played in only 39 and 36 games, respectively. Chris Young was 1-0 with a 1.88 ERA in four starts before going down with an injury. Ace Johan Santana has yet to throw a pitch this year, and the Mets have gotten almost no production from $16.5 million per year man Jason Bay, who is hitting just .237 with a .320 on-base percentage, .336 slugging percentage, four doubles, six home runs and 28 runs batted in in 65 games. Stories have swirled about the Mets’ financial troubles, due to owner Fred Wilpon losing millions of dollars in a Ponzi scheme. Wilpon also criticized star players Wright, Jose Reyes and Carlos Beltran in a May issue of The New Yorker. Yet, even with the things that have not gone the Mets way, New York has overachieved throughout the first half of the year. A monster year by Reyes (.354/.398/.529, 22 doubles, 15 triples, 3 homers, 32 RBIs, 30 stolen bases), who is leading the NL in hits, batting average, triples and runs, as well as a bounce-back year from Beltran (.285/.377/.503, 28 doubles, 13 home runs, 58 RBIs) has helped the Mets offense rank fifth in the NL in runs (399), third in batting average (.262) and second in on-base percentage (.333). Combined with a very good bullpen and an above-average rotation that features R.A. Dickey (18 starts, 4-7, 3.61 ERA, 1.317 WHIP, 2.23 K/BB ratio in 114.2 innings) and pleasant surprises Jonathon Niese (18 starts, 8-7, 3.88 ERA, 1.356 WHIP, 2.63 K/BB ratio in 111.1 innings) and Dillon Gee (14 starts, 8-3, 3.76 ERA, 1.195 WHIP, 1.76 K/BB ratio in 88.2 innings), the Mets are in third place in the NL East, with a record above .500, at 46-45. The Mets are actually closer to a playoff spot right now than they were in 2004 when they traded for Zambrano. New York may be 11 games behind the Philadelphia Phillies for first place in the NL East, but they are 7.5 games behind the Braves in the NL Wild Card race. 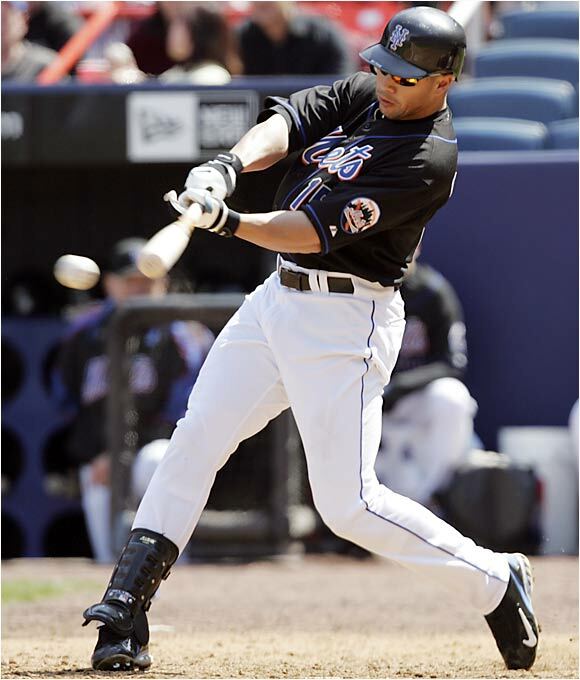 However, the Mets cannot make the same mistake they made in 2004. The Braves own the fourth-best record in baseball and it is unlikely that the Mets can chase them down, even with Wright, Davis and Santana returning from injuries in the second half of the season. The Mets must look to the future and trade away as many high-priced veterans as they can to rebuild a farm system that is widely-regarded as one of the 10 worst in baseball. New York should do whatever possible to get minor league talent for Beltran, starting pitcher Chris Capuano (17 starts, 8-8, 4.12 ERA, 1.354 WHIP, 2.90 K/BB ratio in 102.2 innings), closer Francisco Rodriguez (42 games, 2-2, 3.16 ERA, 23 saves, 1.406 WHIP, 2.88 K/BB ratio in 44.2 innings) and relievers Jason Isringhausen (38 games, 1-0, 3.14 ERA, 1.186 WHIP, 1.62 K/BB ratio in 28.2 innings) and Tim Byrdak (39 games, 1-0, 3.91 ERA, 1.478 WHIP, 2.55 K/BB ratio in 23 innings). Beltran, Capuano, Isringhausen and Byrdak are all in the last years of their respective contracts, while Rodriguez has a $17.5 million option for next year if he finishes 55 games. Trading away those veterans would also free up money for the financially-troubled Mets to re-sign Reyes this offseason, who will most likely be seeking a contract worth over $100 million. 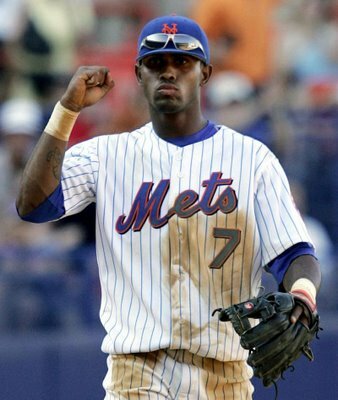 Even though Reyes is in the final year of his deal, the Mets should look to keep him unless they get an offer that blows them away, as Reyes is the face of the franchise and his style of play is important for much-needed ticket sales during the rest of the season. 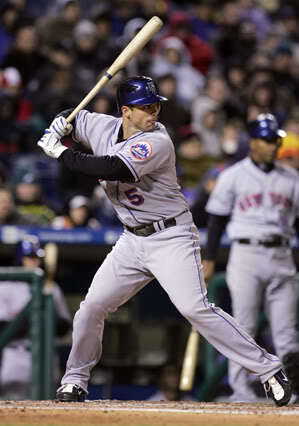 By becoming “sellers” at the trade deadline, the Mets are saying goodbye to their chances in 2011. However, trading for minor league talent will allow the Mets to establish a young supporting cast around Jose Reyes, David Wright and Ike Davis. Mets General Manager Sandy Alderson has a great opportunity to increase payroll flexibility and replenish New York’s farm system within the next three weeks. The right decision to surrender this season will make the future look that much brighter.